Share your audio and video sources (satellite receivers, game consoles or Apple TVs) across multiple TVs in your home. 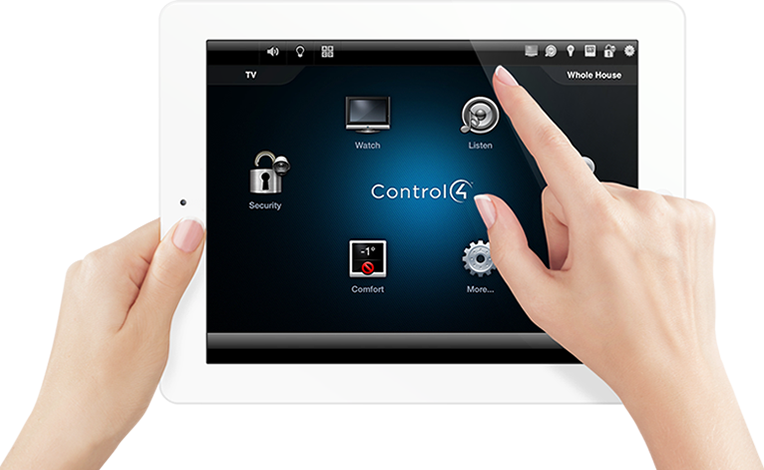 Intelligent audio/video control throughout your facility with simple commands from a tablet, touch panel or keypad. Tailor Made Audio and Video (TMAV) is a full-service residential and commercial custom audio video integration company. We sell, design, install and program AV systems, home theater systems, smart home technology and commercial control systems throughout New Hampshire, Massachusetts and Vermont. TMAV provides simple control of integrated technology and automation systems comprised of audio, video, lighting, shading, climate control, energy management and networking components. Our smart home technology solutions make your home safe, elegant, fun and easy to use. Businesses will experience increased productivity, enhanced environments for employees and customers, and simple control. Our extensive experience, customer focused approach, and high quality of service makes it easy for you to experience all the benefits of customized technology solutions for your home or business. Visit our office to experience the automated home demo and learn what a smart automated home can do for you. Please call 888-232-2287 for an appointment.